We must take from the right nationalism without capitalism and from the left socialism without internationalism. 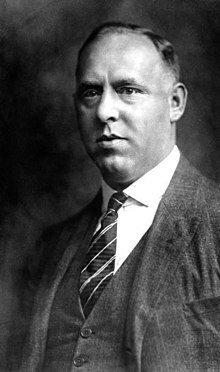 Gregor Strasser (31 May 1892 – 30 June 1934) was an early prominent German Nazi official and politician who was murdered during the Night of the Long Knives in 1934. Born in 1892 in Bavaria, Strasser served in World War I in an artillery regiment, rising to the rank of first lieutenant. He joined the Nazi Party (NSDAP) in 1920 and quickly became an influential and important figure. He took part in the abortive putsch in Munich in 1923 and was imprisoned, but released early on for political reasons. Strasser joined a revived NSDAP in 1925 and once again established himself as a powerful and dominant member, hugely increasing the party's membership and reputation in northern Germany. Personal and political conflicts with Adolf Hitler led to his death in 1934 during the Night of the Long Knives. We are Socialists, enemies, mortal enemies of the present capitalist economic system with its exploitation of the economically weak, with its injustice in wages, with its immoral evaluation of individuals according to wealth and money instead of responsibility and achievement, and we are determined under all circumstances to abolish this system! And with my inclination to practical action it seems obvious to me that we have to put a better, more just, more moral system in its place, one which, as it were, has arms and legs and better arms and legs than the present one! As quoted in The Third Reich: A History of Nazi Germany, Thomas Childers, New York: Simon & Schuster, 2017, p. 84. November 1925 Reichstag speech. The spirit of our National Socialist idea has to overpower the spirit of liberalism and false democracy if there is to be a third Reich at all! Deeply rooted in organic life, we have realized that the false belief in the equality of man is the deadly threat with which liberalism destroys people and nation, culture and morals. violating the deepest levels of our being! We have to reject with fanatical zeal the frequent lie that people are basically equal and equal in regard to their influence in the state and their share of power! People are unequal, they are unequal from birth, become more unequal in life and are therefore to be valued unequally in their positions in society and in the state! What we National Socialists want is revolution or, better said, the attainment of a German future by the ruthless implementation of national freedom, social justice and völkisch recovery. The emancipation of the German workers will be accomplished by their participation in profits, participation in ownership, participation in achievement. He is such a hysteric that they ne ed not take him seriously, and so he will not carry out his threat unfortunately. But it is all or nothing for him now. If I know him, he will make one desperate attempt to get into power. If this fails and he does not get his way, he is finished. He will burst into pieces like a frog. About Adolf Hitler as quoted in "Diary of a Man in Despair", Fritz Percy Reck-Malleczewen - History (1970) p. 95. Tradition & Revolution: Collected Writings of Troy Southgate, editors: Patrick Boch, Jacob Christiansen and John B. Morgan, UK, Arktos Media (2010) p. 66. I am a man marked by death. Dr. Martin, I am a man marked by death. We shall not be able to go on seeing each other for long and in your own interests I suggest you do not come here any more. Whatever happens, mark what I say: From now on Germany is in the hands of an Austrian who is a congenital liar, a former officer who is a pervert, and a clubfoot. And I tell you the last is the worst of them all. This is Satan in human form. Hitler was deeply jealous of Gregor Strasser. He was the one potential indeed actual rival within the party. He had made the Rhineland his fief. I remember during one tour through the Ruhr towns seeing Strasser's name plastered up against the wall of every railway underpass. He was obviously quite a figure in the land. Hitler looked away. There was no comment about "Strasser seems to be doing well", or any approving sign. November brought Reichstag elections again, but in spite of a frenzied campaign, the Nazis lost ground. Their representation was reduced to 196, and it was at this point that Schleicher became Chancellor, to exercise the power he had so long controlled from the wings. His plan was to split off the Strasser wing of the Nazi Party in a final effort to find a majority with the Weimar Socialists and Centre. The idea was by no means so ill-conceived and amidst the momentary demoralization and monetary confusion in the Nazi ranks, very nearly came off. With the failure came the final break between Hitler and Strasser, who, two years later, paid for this disloyalty with his head. The S.S. man had shot the unsuspecting Strasser from behind and hit his main artery. A great stream of blood had spurted against the wall of the tiny cell. Apparently Strasser did not die at once. A prisoner in the adjoining cell heard him thrashing about on the cot for nearly an hour. No one paid any attention to him. At last the prisoner heard loud footsteps in the corridor and orders being shouted. The guards clicked their heels, and the prisoner recognized Heydrich's voice saying: 'Isn't he dead yet? Let the swine bleed to death.' The bloodstains on the wall remained for weeks. It was the pride of the S.S. squadron, a kind of museum piece. These cut-throats showed it to all the terrified inmates and boasted that it was the blood of a famous man, Gregor Strasser. It was only after he had received numerous complaints that Heydrich ordered the bloodstains to be cleaned.